How can I contact the Professional Licensure Bureau (PLB)? How do I report improper or illegal behavior on the part of a school district employee? Complete a complaint form and submit it to our Investigations Department. The form can be found on the General Counsel Webpage at https://webnew.ped.state.nm.us/bureaus/general-counsel/general-counsel-documents-and-forms/. 1a. My license shows that it is pending on your database. What does this mean? When registering for my Background Check through Cogent what ORI number do I use? I did a background check for the school can I use it for licensure? PED does not accept background checks done for any other reason than “Teacher Licensure” using PED’s ORI #. Do I need to pay the $75 processing fee for the background check? The $75 processing fee is an old processing fee. The current processing fee is $44 and that is paid to Cogent when registering online. Fingerprint cards are only for out of state applicants and can be obtained by sending an email to ethics@state.nm.us including a complete name and mailing address. How long does it take for a background check to come back? If you have been fingerprinted via Live Scan process PED will receive results usually within 72 hours after you have been fingerprinted. Out-of-state hard card submissions take 12-14 weeks to process; this does not include mailing time. How long are background check reports valid for? Background check reports are valid for 2 years from the date the FBI processes them. I received a reprint notice, what do I need to do? You will need to return to an approved fingerprint location and let them know that you need to be re-fingerprinted. There is not a fee for reprinting. What documents are required to clear my background and where do I get them? Each arrest listed on the FBI report requires court documents to clear them. Based on the individuals charges, documents can come from district or metro court depending on the city/state the arrest took place. That is the first place to ask for documents for each arrest. Acceptable court documents are: Order of Dismissal of Charges, Completion of Sentencing, A letter from the court of record(on court letterhead), stating the file no longer exists or has been purged per court retention rules. It is a written explanation, stating in your words what occurred that result in your being arrested. Outline the details that resulted in the charges and the outcome after the arrest. Narrative must have your written signature (no electronic) to be valid for acceptance. Fingerprints were taken 10 day/weeks ago why isn’t it showing in the database? 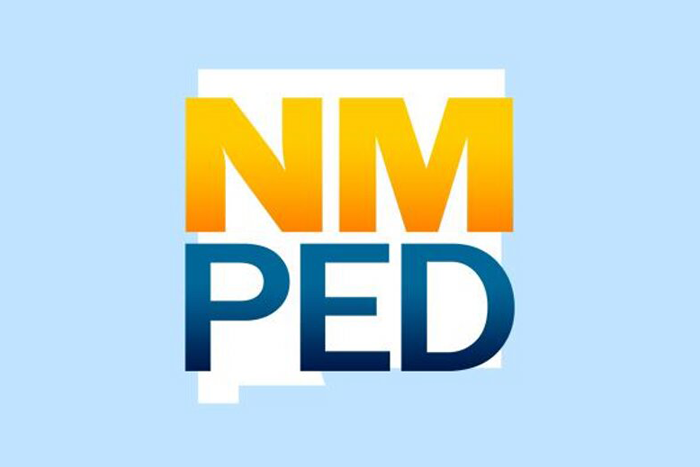 NM PED Licensure Bureau has been diligently enforcing existing licensure rules and regulations. Due to the increased diligence, NM PED Licensure has stopped opening licensure database files with the Federal Bureau of Investigations (FBI) results. Database files will now only be opened with an application. While we attempt to match background reports with new files daily, it is not always feasible. However, all new files will be matched no later than Friday afternoon of each week. Unmatched files will be held for 2 years. Request for copy of background was sent __ days ago and we still have not received a copy, why? We have not received the FBI report or they have not applied for licensure and the results are in the unmatched files awaiting an application. AS of April 1, 2017 we are no longer sending background copies until they have applied for licensure and have a file opened. How do I get a copy of my background check report? What is a file number? Your file number is the 6-digit number, which is the same as your license number. A complete application packet is the application completely filled out and signed. It includes official transcripts from all colleges or universities attended, and any supporting documentation as listed in the instructions on the application. Please use the check off list included in the application packet to ensure completeness. Incomplete packets will be accepted, but no license will be issued until all required documents are received and reviewed. Money Order or Cashier’s Check made payable to NMPED. Are the fees refundable if I am not eligible for a license? No, the fee is an application-processing fee. It does not pay for a license. What address do I send my application packet to? What if my application packet is not complete? One of our consultants will reach out to you via email requesting the missing items. Incomplete applications will delay processing time so make sure to review your packet before sending it to us. What is the process once my application has been received? An intake specialist will ensure that fees are accurate and process the money order/ cashier’s check and create a file, once that is completed the application packet is scanned into an imaging system (database), and once the file is uploaded to an online data base, the application is assigned to a consultant workflow for review. Turn-around time will depend on the applications on queue for review and the time of the year. How can I expedite the process? There is not an option for expediting initial licensure applications except for Military/spouse personnel and veterans; however if a packet is received complete it will not delay the process further. What if there is an Error on Your License: What should I do if I receive the wrong license or there is something wrong with the license? Report it to our office immediately by emailing: LicensureUnit@state.nm.us or by sending it back to our office with a letter. Please do not call us to report changes, as we need proper documentation for our database file. If I check “yes” to any of the “fitness” legal questions on the applications, what happens? Your application is referred to the Background Bureau for further review, and you must provide all pertinent documentation to move the clearance process along; a signed narrative explaining each arrest, and certified court documents for each arrest listed on the FBI Report. Do I need a Social Security Number in order to be issued a license? Yes, your license will stay pending until a valid social security card is provided. How do I become an administrator in New Mexico? Does NM reciprocate administrative licensure from other states and/or countries? Yes. You are required to have a master’s degree, provide a current administrative license, and any teaching licenses, have completed approved administrative and teacher education programs, and provide verification of 6 years of teaching and/or administrative experience. What are different ways to become licensed as a teacher in NM? I have an Alternative license through OPAL, and now want switch to NMTEACH can I do that and if so what’s the process? Yes, you will need to write a letter requesting the change, and sign and date. Please mail the document to the licensure bureau. a. Submit a letter of completion from the alternative teacher prep program. How do I get an extension on my alternative license if I did not teach on it for the two years? You would write a notarized statement stating the number of year(s) you did not utilize the license and we extend the license as such if your license is not expired. How do I extend my alternative license? Your district and or higher education will need to request an extension on your behalf as long as you are in good standing and have not had an extension prior. The earliest we will accept alternative extension request is May of the year the license is due to expire. How many extensions do I get for levels 1? You are only allowed three (3) extensions. Will the Licensure Bureau review my transcripts prior to me applying? We are not able to evaluate transcripts to see if you meet the criteria to apply for licenses or endorsements. Your best resource for this type of question is meeting with your local college/ university where you completed the coursework, or meet with your school district. You can always review our website licensure pathway and endorsement pathway for additional information. https://webnew.ped.state.nm.us/bureaus/licensure/ by visiting “How to apply” or” Adding Endorsement”. Does New Mexico have reciprocity with other states and/or countries? Do I have to submit OFFICIAL transcripts if I am reciprocating a license from another state/country? Yes, they must be sealed official transcripts addressed to the Professional Licensure Bureau- 300 Don Gaspar, Santa Fe, NM 87501 OR E-scripts can be sent by the university(s) to the attention of NMPED at the following email address licensureunit@state.nm.us. Official Foreign Transcripts Evaluations: Transcripts must be sealed and addressed to 300 Don Gaspar, Santa Fe NM 87501 (we only accept mailed foreign transcripts evaluation). All foreign transcripts need to have a course-by-course evaluation completed. Click Here for a list of evaluators who are members of the Foreign Transcript Evaluation Services (NCAES). The Public Education Department does not require nor recommend NACES listed service members be used. There is no “official” organization or regulatory body for foreign credential interpretation or evaluation methodology in the US. It is based on commonly-developed and agreed standards of good practice. I am reciprocating a license. What level of teaching license will I receive in New Mexico? 1-3 years of teaching experience, you will receive a level 1 license (base salary $36,000). 3-5 years of teaching experience, you will receive a level 2 license (base salary $44,000). 6 or more years of experience and a master’s degree, you will receive a level 3A license (base salary $54,000). I received my degree from another state but did not get licensed there. How do I get a NM license? I took the New Mexico exams but did not pass. How can I get a license? We will not issue a license until you have passed all required exams. I already have a NM license. I want a different license, what do I need to do? Can I add endorsements in language arts, history, science, or mathematics to an elementary or special education license? No, core subject endorsements cannot be added to elementary or special education licenses. An elementary teacher will continue to be authorized to teach in a self-contained classroom or in any of the core subject areas of: language arts, mathematics, science, or social studies in a departmental program without a separate endorsement in those areas. If teaching in a departmentalized setting, the individual must be considered Fully State Certified (formally known as HQT”), this means they must have a minimum of 24 semester hours in the core area or pass the midlevel content knowledge assessment (CKA) in the core area. I’d like to get an endorsement on my license, what do I need to do? Will your office provide a list of the courses (class number or course code) I need for the endorsement? Why does the word alternative stay on my license after I completed the alternative program? It stays on your license because you have Level 1 teaching license which means a provisional license issued for the first five years of teaching that gives a beginning teacher the opportunity, through a formal mentorship program, for additional preparation to be a quality teacher, you gained this license through an alternative program. Once you move to a level 2, we will remove the word “alternative”. The word alternative and the five years on your license indicates that you successfully completed an alternative program. Is there a three-tiered system for counselors, speech language pathologists, etc.? I have many years of experience in my field; do I receive a level 3 license? No. All new applicants begin at level 1 regardless of the experience. If I am nationally board certified, do I receive a level 3 license? How long do I have to stay at a level 1 before I can apply for level 2? How long do I have to stay at level 2 before I can apply for a level 3? Must I be employed first before I am eligible for an educational assistant or substitute teaching license? Not necessarily, but you are required to complete an Orientation Session with a local school district before a license can be issued, which will need to be verified on the superintendent verification form. Do you issue 1 year licenses for coaches to allow them time to complete the New Mexico Athletics Association (NMAA) coaches’ training program? Yes. The NFHS First Aid/Sports First Aid/Athletic Training Program must be completed to receive the non-renewable 1 year license. The NFHS -NMAA Fundamentals of coaching training certificate must be completed by the expiration date of the 1-year license. The license is issued for the school year (July 1 to June 30). What is the three-tiered licensure system and the Professional Development Dossier (PDD)? The three-tiered system is a system designed to attach base salaries to each level of teaching licenses. The 3-Tiered Licensure System includes annual evaluation and licensure advancement. The Professional Development Dossier (PDD) is one of the cornerstones of advancement for teachers in the 3-Tiered Licensure System. Teachers must complete the PDD in order to advance from Level 1 to Level 2 and to advance from Level 2 to Level 3. Where can I get specific information about advancing through the three tiers? When can I do my Professional Development Dossier (PDD)? When does the Dossier open and Close? Open 7/15 and close 3/31 of every year, in order to get the raise for every school year one must have their Dossier in by 10/15 of every year. This also includes Advancements without dossier or by National Board Certification. Once you are a teacher of record of 3 years, you can begin registering at teachnm.org. During this time, we highly recommend a teacher began thoroughly reading the dossier guidance document and collecting their student data to complete the template. Is there another option then completing a Dossier? What could I do to keep my license after not passing my PDD? Can I get an extension or renew my level 1 license? You will need to meet with your school district. Your school district will need to request to re-open the dossier window. However, this may not guarantee an extension. Must a level 1 teacher advance after 5 years? b. Fees-$95.00-Teacher, Administrative, or Instructional Support Provider. All licenses may be renewed within 6 months of their expiration date (earliest is January of year of expiration). I hold a level 2 or Level 3 license and I forgot to renew it, what do I need to do? If lapsed less than a year- you need to provide a renewal application, fee, superintendent recommendation form, and complete a new background check if more than two (2) years old. If lapsed for more than one-year – you need to submit an initial application & fee; official transcripts if not on file, etc., provide verification of 5 years of experience during the life of the expired license, and a Superintendent’s Recommendation Form from the last employer. Elementary teachers will need to complete the Teaching Reading exam and administrators will need to take the ED Admin exam. If you did not teach on level 1 license for the entire five years – you need to submit a renewal application, fee and a notarized statement indicating the years have not taught on your NM level license. An extension of the license for the years that you did not teach will be issued to allow you time to submit your Professional Development Dossier. If you taught for the full 5 years you will need to complete a dossier to move to Level 2. For my renewal application, do I need to send my transcripts if you already have them on file? Yes. You will need to attach a notarized statement to your renewal application stating that you have not taught in NM for 5 years. Example: If you taught for 3 of the 5 years – you can extend the level 1 license for 2 years. Upon the 5th year of teaching, you will be required to complete and pass a dossier prior to the expiration of your license. If I taught all 5 years on my level 1 license and did not complete my dossier can I receive an extension? I only taught with the school for 1-2years, do I still need a superintendents recommendation form (level 2-3A)? Yes, the only time you do not need to provide a superintendent recommendation form is if you did not teach for the life of that license. I need a copy of my license. What is the process? How do I change the name and address on my license? Download the request form from our web site and submit it to our office by mail, fax, or email from the link on our web site. How do I change my address on my license?